It's that time of year again! The Tony Awards are coming soon. The nominee list was just released and there are some strong contenders this year! Because the Tony Awards cover so many categories, we're just going to look at the Best Musical nominees today. This nominee tells the tale of the passengers of the thirty-eight planes told to land in Newfoundland right after the events of 9/11. Twelve actors play many different roles, including the passengers and the people of Newfoundland. Although I haven't listened to much of this show (yet), the story seems to pack a powerful punch and its creative staging and casting contribute to its uniqueness in a sea of musicals. Of all the shows that were nominated for Best Musical, this is the one I know best. Dear Evan Hansen is about a young man whose self-help letter is found on a student, Connor Murphy, who took own his life. In the confusion following Connor's death, people believe he was writing a letter to Evan, our protagonist. This results in an elaborate deception where Evan creates a fake friendship between himself and Connor, turning Evan into a social media sensation for his inspiring words spoken on Connor's behalf. The show deals with some heavy subjects like abandonment, suicide, anxiety/depression, and deception, but ultimately, Dear Evan Hansen has a message of hope. The Best Musical nominee I know the least about, Groundhog Day, is based on the well-known Bill Murray film of the same name (which I haven't seen, of course). If you're like me and haven't seen it, here's your little recap: an arrogant weatherman goes to Pennsylvania to report on Groundhog Day where he gets stuck in a time-loop of sorts and has to relive February 2 over and over again. I've heard the show is hilarious and the music is excellent, so this is one I definitely need to listen to . . . and I should probably watch the film, too. Possibly. Some consider this show a favorite to win Best Musical. I still haven't been able to get into the music, but as with Hamilton, it may take some more listening. 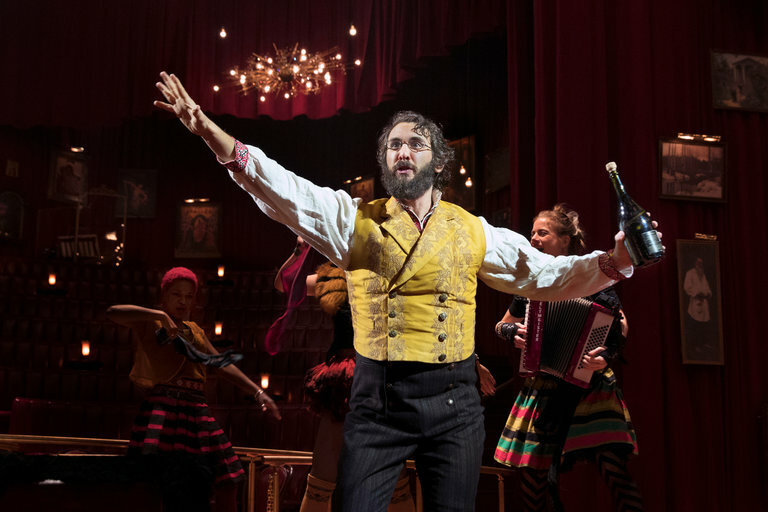 The show is an electro-pop musical derived from a seventeen-page section of the famous Russian novel War and Peace detailing the vices and adventures of the Russian aristocracy. It is staged among audience members, an unusual and truly interesting way to perform. Tune in for the Tony Awards June 11! Which of these musicals are you most interested in?